If you’re in Panjim (which you are most likely to be in at some point of your trip), you must check out Confeitaria 31 de Janeiro. 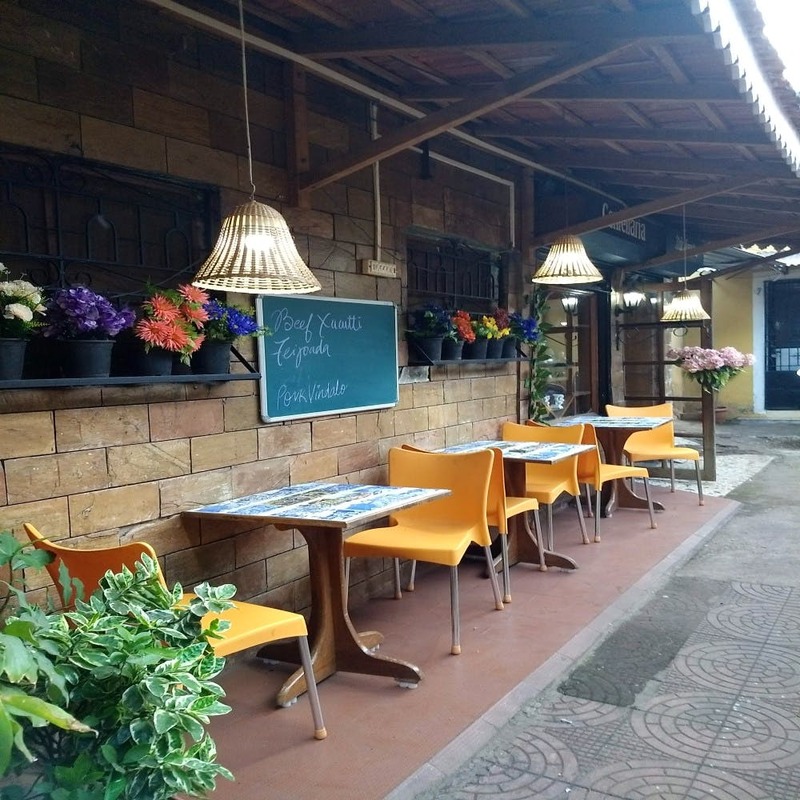 It’s a quaint little Portuguese cafe/bakery located very close to the High Court of Bombay at Goa. Well, it’s for everyone who loves the smell of freshly baked bread and cakes. You get to try out different Portuguese as well as local Goan desserts all the while sitting in an area surrounded by old buildings which take you back to a different time. Freshly baked bread (sometimes you have to wait for your bread to come straight out of the oven) , swiss rolls, date, plum and walnut cakes (oh, those cakes are to die for). Hang around just to watch the bread being freshly baked in front of you, it’s a treat for your eyes and smells amazing.